Just after we arrived in Japan, I found myself reading a list of 75 colourful places (found through some trail of links that I no longer remember). 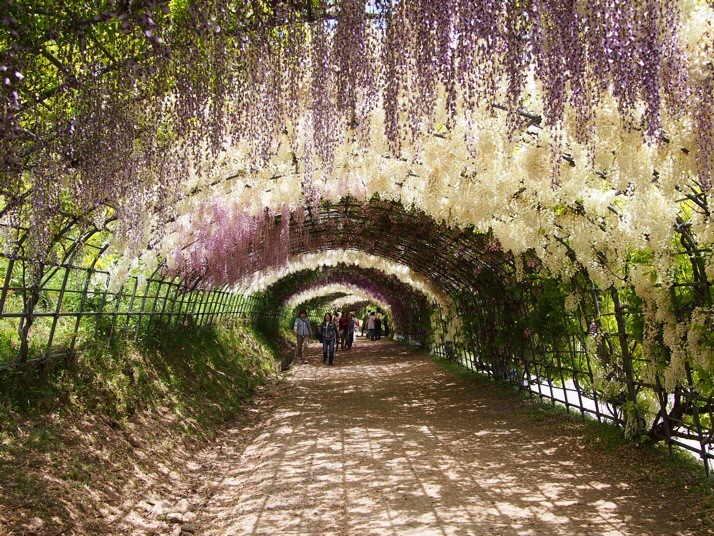 I love beautiful travel photos and find them very good inspiration for adding items to the already huge list of places that I want to visit, but the first photo on this list, a beautiful tunnel of wisteria flowers, really caught my attention. 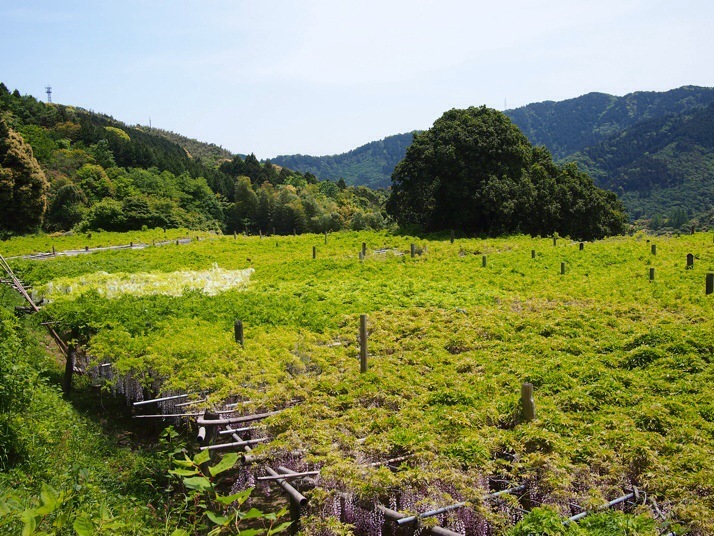 When I realised that it was on Kyushu, the southernmost of Japan’s four biggest islands and somewhere that was already on our itinerary, I was determined to visit. However, that seemed easier said than done as its internet presence is very sketchy and very little concrete information is available (certainly not in English) – if you’ve come here on your own search for information I’ve put a practical guide on getting there at the bottom of this post. 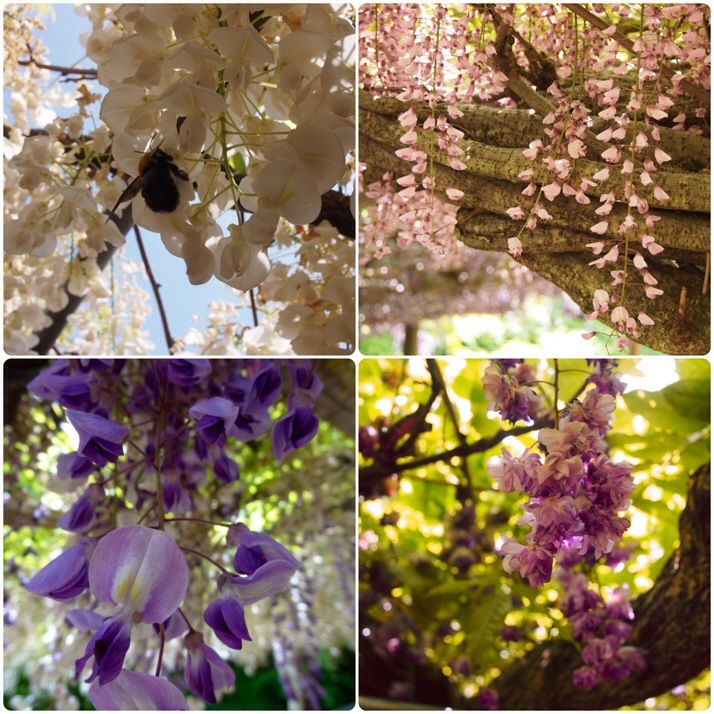 The wisteria blooms from late April onwards with peak time varying slightly from year to year. 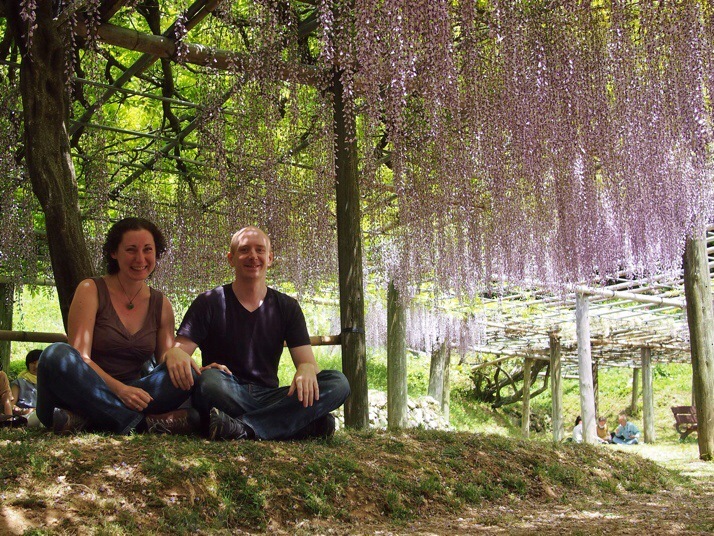 We visited 10th May 2014 and the wisteria were already past their prime but absolutely magnificent all the same. 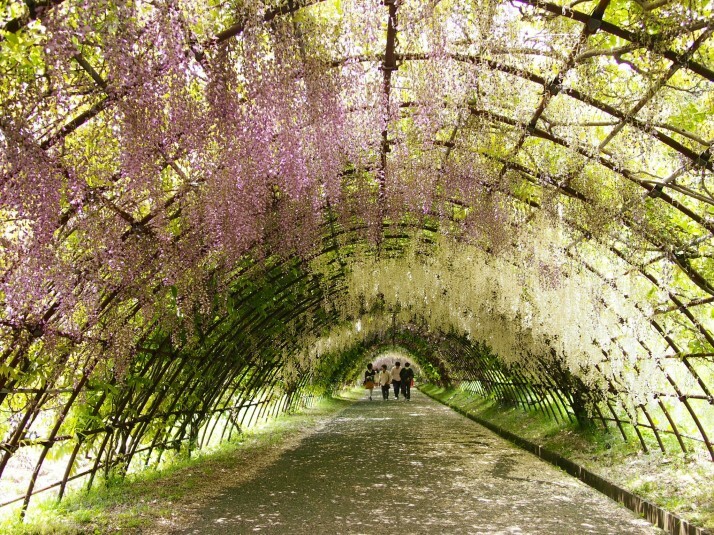 At the end of the tunnel there is a short uphill climb to a vast and even more spectacular canopy of wisteria. 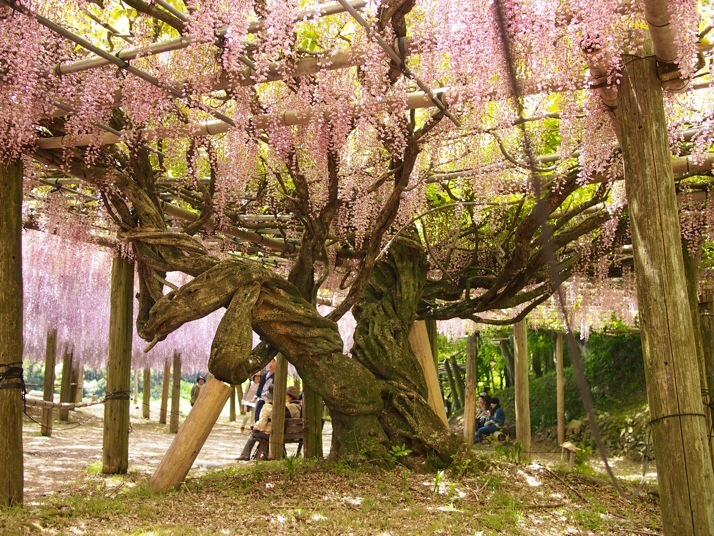 I’d always thought of wisteria as purple but there were many different colours and varieties at the Kawachi Fuji Garden, from white through pink and various shades of purple to an unusual double flowered variety. 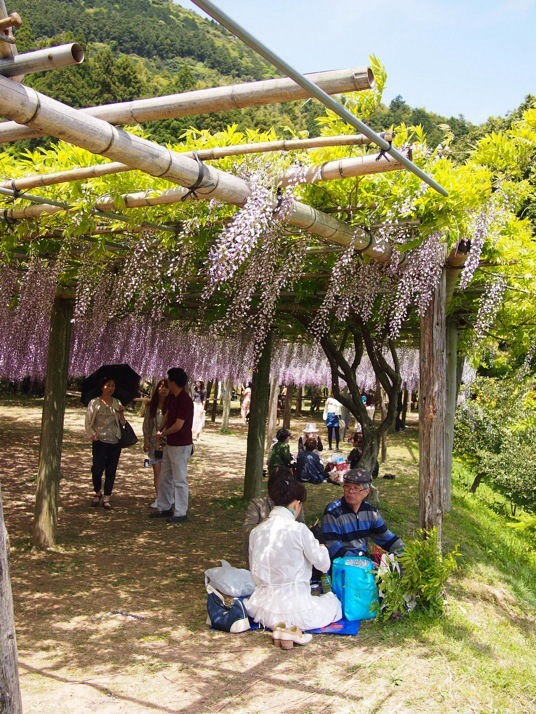 As with cherry blossom viewing, many Japanese brought a picnic lunch to eat under the blooms and we did the same. The canopy from above – it doesn’t look like much from this angle does it? After a couple of laps of the garden and a couple of hundred photos, we stopped at the next door onsen for a soak in the hot spring bath. A relaxing end to a day which more than lived up to our high hopes. First get to Yahata station on the JR Kagoshima Line. We stayed at the Comfort Hotel in Kurosaki just one station away and found it to be a very pleasant business hotel, but making a day trip from Kitakyushu or Fukuoka would be very doable as well. At Yahata station you will find a number of bus stops on the left side of the car park as you exit the station building. The final one of these (furthest from the station building) is where the shuttle bus to Ajisai-no-yu onsen leaves from. I advise arriving 20-30 minutes early and queueing as there were more people than the bus could hold for the first bus when we visited and the driver did not allow standing passengers. The shuttle bus is free and is supposed to be only for customers of the onsen. There was zero checking of this on our trip but I would recommend that you do as we did and make a full day of it with a visit to the onsen after the garden (the onsen is ¥800 for an adult with lots of different pools as well as a sauna and steam room). When you arrive at the onsen walk up the hill for a couple of minutes to find the entrance to the garden which will be on your right. When we visited entrance to the garden was ¥500 although I believe it varies according to how in bloom the flowers are. 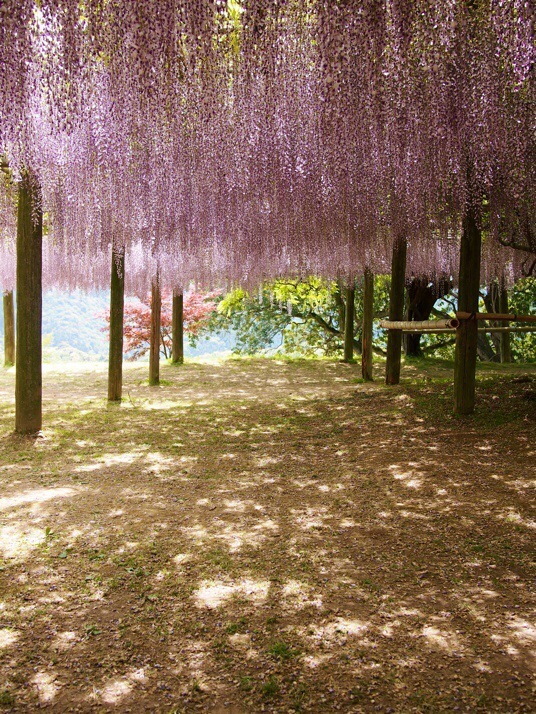 It’s lovely to sit under the wisteria canopy and eat a picnic lunch but if you prefer there’s a restaurant in the onsen and snacks and drinks sold in its reception area. There aren’t any other shops or cafes near to the garden. Shuttle bus timetable – the first bus leaves Yahata station at 10:15 and then 25 past the hour except 14:25. Buses back leave the onsen on the hour except at 14:00. You can check the timetable on the onsen website (Japanese only but here’s an automatic translation). 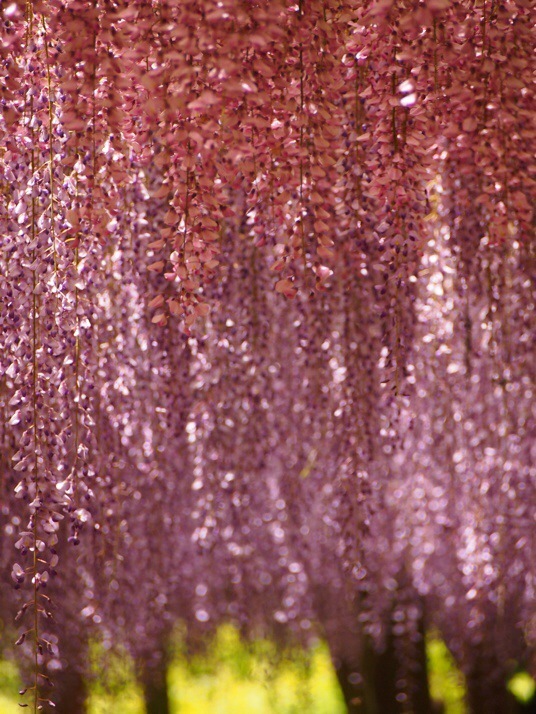 This entry was posted in Places and tagged Garden, Japan on June 14, 2014 by Julie.